mtb.com. ©2018 M&T Bank. NMLS# 381076. Member FDIC. Equal Housing Lender. This is not a commitment to make a mortgage loan. This is not a commitment to lend. Not all borrowers will qualify. This is for illustrative purposes only and estimates are based on information you provided. Interest rates, mortgage insurance rates, and programs are subject to credit approval and available rates and terms will vary, sometimes drastically, based on borrower eligibility and program selected. For accurate interest rates and mortgage insurance rates please contact your mortgage consultant. For illustrative purposes FHA/VA and USDA loan amounts will include an estimate for the financed upfront MI amount. Refinancing to reduce total monthly payments may lengthen repayment term or increase total interest expense. M&T Bank traces its origins to the founding of Manufacturers and Traders Bank in Buffalo, New York, in 1856. Since then, M&T has become one of the 20 largest commercial bank holding companies with over 775 branches and more than 1,800 ATMs in New York, Pennsylvania, Maryland, Delaware, New Jersey, Connecticut, Virginia, West Virginia and Washington D.C. Understanding what’s important to our customers enables us to provide home purchase and refinance solutions across the U.S. including fixed and adjustable rate mortgages, FHA, VA and USDA mortgages, construction loans, renovation mortgages, first time homebuyer programs, reverse mortgages and much more. We’ve built a reputation of reliability and accessibility by providing a full range of personal, commercial, business, investment and mortgage banking services. 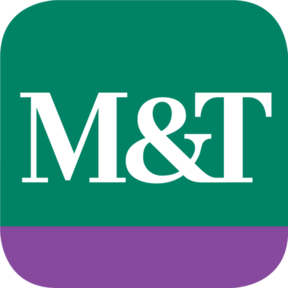 M&T Bank is a name that has been trusted for over 160 years. Register our app to access powerful mortgage tools and calculators at your fingertips. Find the answers you need – the moment you need them with a pocket-sized version of our website.